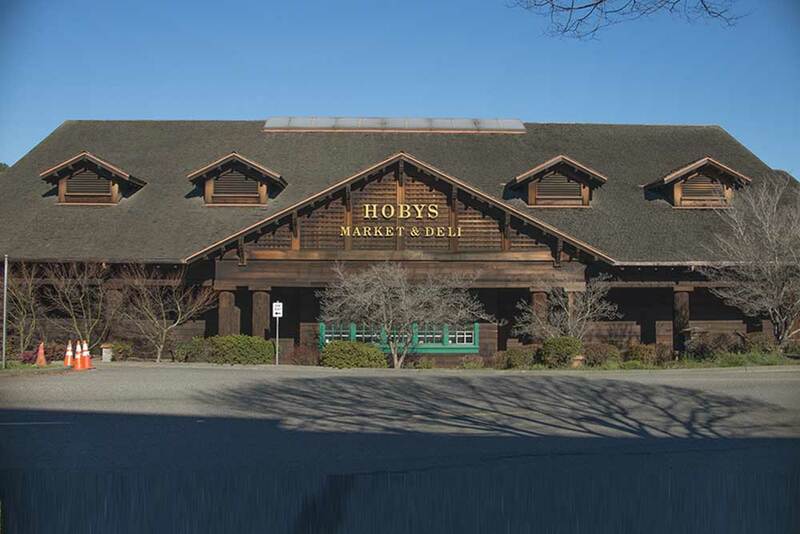 • Hoby’s Market – Like most of the iconic buildings around the town of Scotia, Hoby’s market is built on a solid foundation of sturdy Redwood. The beautifully crafted redwood structure offers an open floor plan, which makes for an inviting shopping experience. This picturesque small-town market offers everything you might possibly need. It offers a mouth-watering deli, various warm foods, a meat market and a full produce area. It even has a small dry cleaners and laundry service in it. • Church – The only operating Church in Scotia, California is St. Patrick Church. This Catholic Church offers reconciliation, baptism, and marriage services while holding mass every Sunday and Tuesday at 8:30 A.M.
• Fishery Exhibit – The Scotia Fishery Exhibit is the largest freshwater aquarium on the North Coast. Stocked with salmon and steelhead trout at different stages of development, it’s a fun learning experience for kids and adults alike. The open-air designed roofed structure makes this a fun trip any time of the year. The Fisheries Exhibit hours of operation are Monday through Friday from 8:00 a.m. until 4:30 p.m. for self-guided tours. Call Humboldt Redwood Company to arrange for group tours (707) 764-4492.